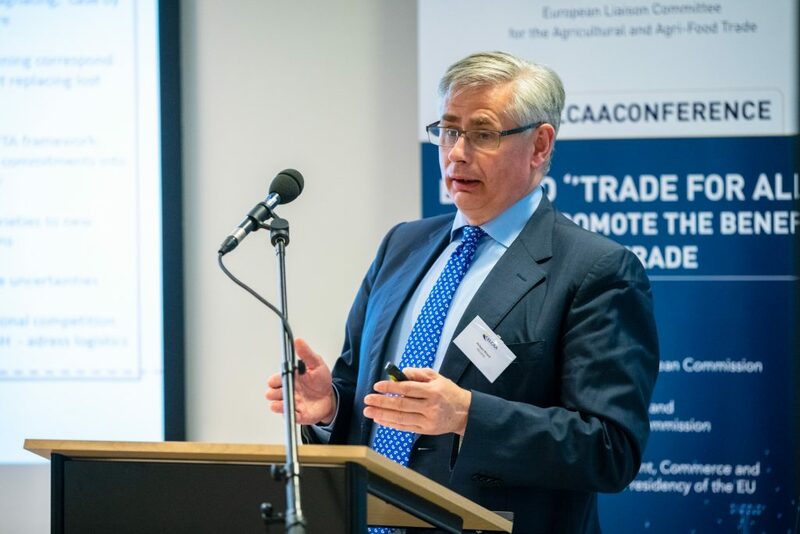 Along with European Commissioner for Trade Cecilia Malmstrôm and Commissioner for Agriculture Phil Hogan, Freshfel Europe General Delegate Philippe Binard addressed the CELCAA seminar ‘Beyond trade for all, driving EU agrifood trade forward’ held in Brussels on 21 March 2019. 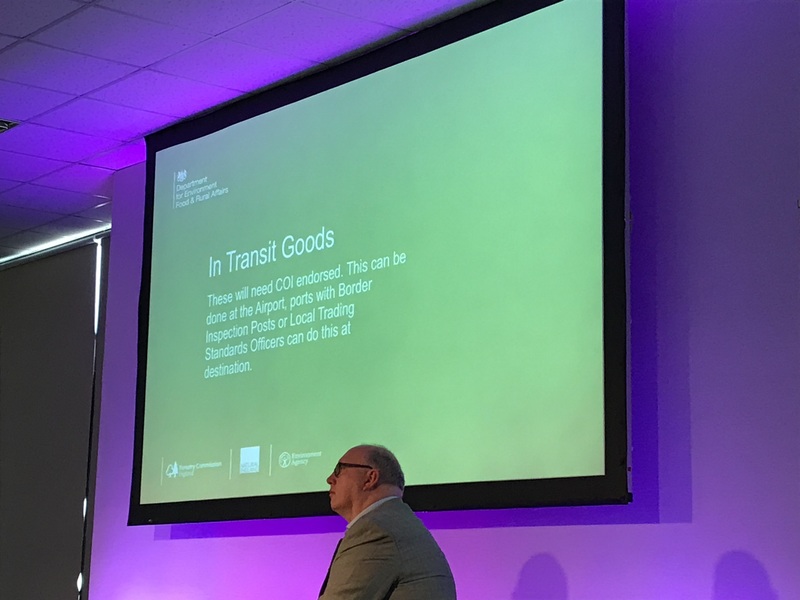 During the conference, Commissioner Hogan stressed that unsurpassed safety and quality of European products has made us the leading trader of high quality food and drink products in the world. Commissioner Malmström added that EU Agri-food trade is growing and the EU’s Free Trade Agreements are contributing to its success covering a third of total EU agri-food exports and more than 40% of imports. In regards to fruit and vegetables, Mr. Binard nuanced the benefit of the FTA for the fruit and vegetable sector highlighting that while FTAs provide new opportunities, more still needs to be done in regard to market access, which is currently widely limited given excessive requirements of plant health protocols. Furthermore Mr Binard recommended several new innovative approaches that should be included in FTAs and beyond with all trading partners to facilitate market access for EU fresh produce exports. To take full benefit of tariff dismantling hurdles and constraints to protocols which often prevent trade should be removed and this should be the key priority for the EU export strategy for fresh produce. The EU should bundle growers and exporters efforts to open new markets, urging third countries to clearly identify their quarantine pests while leaving the EU public and private stakeholders to take the necessary mitigation measures for securing biosecurity protection in destination markets. This will pave the way for more EU market diversification and provide concrete responses to recent market restrictions resulting from the uncertain international trade environment heading towards unilateralism such as the closing of the Russian and Algerian markets. 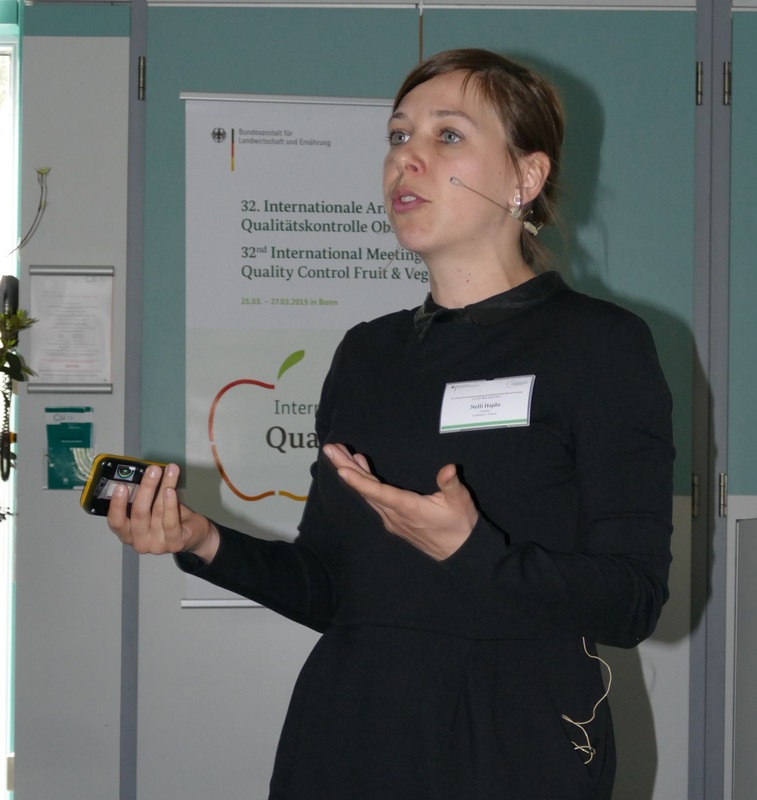 Freshfel Europe’s Trade Policy Advisor Ms Nelli Hajdu presented the sector‘s latest developments with regard to online sales of fruit and vegetables during the 32nd International Meeting of Quality Control Fruit and Vegetables on 26 March in Bonn, Germany. The meeting gathered participants from national authorities, international organisations and companies with focus on quality standards and control of fruit and vegetables. Official controls of online sales of fruit and vegetable are particularly challenging as they are subject to a range of provisions from various EU food law provisions, such as the 2017/625 Official Control Regulation, Directive 2000/31 on Information Services, Plant Health Law 2000/29 and 543/2011 on Marketing Standards. Specifically, the debate about Article 6 (543/2011) on the obligation to state the origin, the variety, the packer and the dispatcher at the point of sale is challenging the current trading environment, as most fruit and vegetable sales are ordered some days in advance. Retailers with manifold origins and suppliers are facing difficulties as weather and delivery conditions could change rapidly. Next to an insecure regulatory environment, existing shop infrastructure and consumer habits across the EU, make fruit and vegetable online sales currently unprofitable in comparison to in-store purchases. European consumers compared to Chinese, U.S. or Indian consumers mostly make use of existing click-and-collect models. A copy of the presentation is available upon request from the Freshfel secretariat. 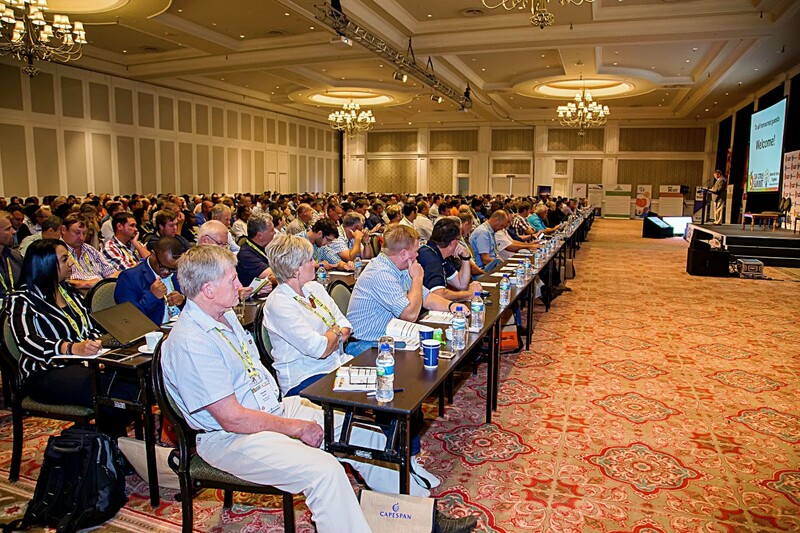 The third Citrus Summit organized by the Citrus Gowers Association of South Africa (CGA) took place in Port Elizabeth on 12-14 March 2019 and was attended by 600 delegates. The conference covered different issues including the evolving political, economic and business perspective from a South African perspective, ethical compliance, biosecurity issues, logistics developments as well as market development for the EU, the USA and Russia. On the occasion of the summit, Freshfel General Delegate Philippe Binard presented a global analysis of the citrus market, looking at trends for production, trade and consumption for the citrus category as a whole as well as for oranges, soft citrus, lemons and grapefruit. The growth of production, in particular for lemons and soft citrus, will require international partnership and cooperation to stimulate consumption around the world. Freshfel’s presentation at the Summit is available here. 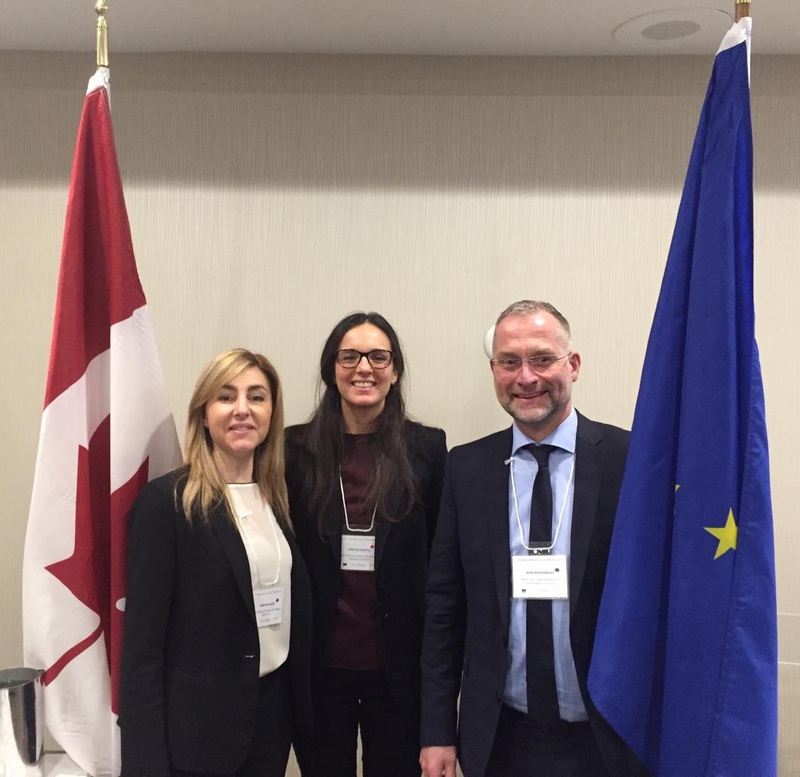 On 19-20 March, Freshfel’s Policy Advisor Natalia Santos-Garcia Bernabe participated in the ‘EU-Canada Workshop on Use of Methyl Bromide Alternatives’ organised in Ottawa, Canada by the European Commission and Canada’s Canadian Food Inspection Agency. Building on the positive momentum of CETA, the workshop aimed at building trust and exchanging best practices among EU & Canadian public authorities and the EU fruit and vegetable industry. The objective was to discuss suitable alternatives to the use of this ozone-depleting fumigant to ultimately draft guidelines to help EU fruit and vegetable exporters overcome this barrier and access the Canadian market. During the workshop Freshfel and its members presented alternative mitigation measures to enable the boost of European fresh fruit & vegetable exports to Canada, whilst answering to biosecurity and environmental concerns, as well as to consumers’ demand for high quality produce. The three agencies will work closely together and with the partners (Freshfel and Aprifel) in the coming three years of the project’s life span. During the day-long meeting, the agencies presented their final proposals to each other and had an in-depth discussion on the cooperation between the agencies, the content of the proposals, and the detailed deadlines and deliverables for 2019 and years to come. 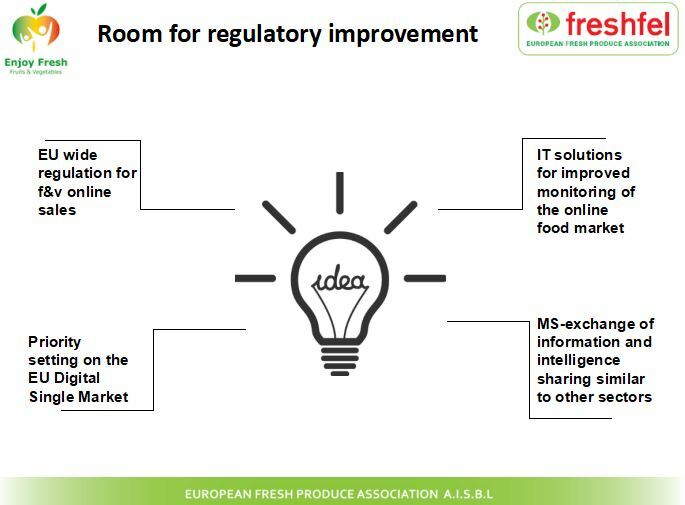 In April 2018 Freshfel Europe together with Aprifel (the French Agency for research and information about fruit and vegetables) submitted a proposal for a 3-year Promotion and Information Campaign of fresh fruit and vegetables implemented in the internal market, under the acronym ‘FV for a Healthy EU’. The proposal focused on increasing awareness of the health benefits of eating fruit and vegetables with the age group of 18 to 30-year-olds, the so-called ‘millennials’ via a social media campaign. The proposal was selected by CHAFEA, the Consumers, Health, Agriculture and Food Executive Agency of the European Commission, in October 2018. 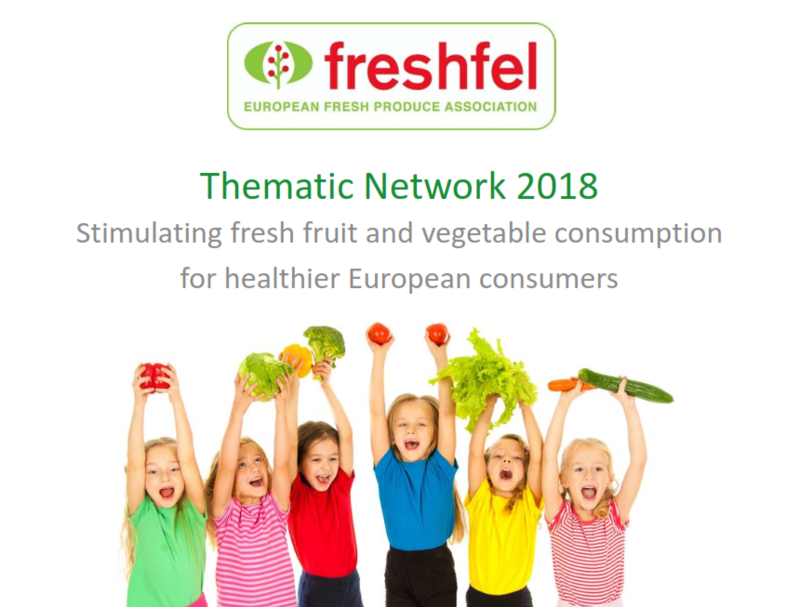 Freshfel Europe’s Thematic Network Joint Statement on ‘Stimulating fresh fruit and vegetable consumption for healthier European consumers’ has now been fully completed and endorsed by 42 associations and companies. Within the work of the EU Health Policy Platform, Freshfel’s Thematic Network was part of the European Commission’s 2018 cycle of Thematic Networks. The overall objective of the Thematic Network was to act as a platform for sharing information, knowledge and best practices targeted at increasing fresh fruit and vegetable consumption among those groups whose consumption of fruit and vegetables is low throughout Europe. The Joint Statement comprises of two parts, a framing paper contextualising current fresh fruit and vegetable consumption levels in Europe and a recommendations paper outlining 43 points of action with accompanying good practices to stimulate fresh fruit and vegetable consumption. All recommendations are aimed at both public and private stakeholders and are listed under five categories: economic action, social action, environmental action, communication action and cooperation action. The Joint Statement and accompanying infographic are available here. As Freshfel Europe’s Thematic Network has now been finalised Freshfel Europe has begun disseminating the Thematic Network’s Joint Statement throughout its membership and the broader agri-food sector. 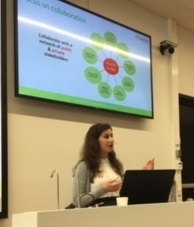 On the 12 March 2019 Freshfel Europe’s Policy Advisor and Communications Manager Nicola Pisano presented the Thematic Network to the fruit and vegetable working group of the Partnership for a healthier diet in Norway in Oslo, Norway. Ms Pisano discussed the European Commission’s EU Health Policy Platform and Thematic Network cycles before explaining the year long process of developing the two parts of the Thematic Network Joint Statement in a collaborative manner with a range of stakeholders from different sectors. Finally Ms Pisano explored the potential uses of the Joint Statement and how it can form as an essential resource for fresh fruit and vegetable consumption policy-making across Europe at all levels of governance. Freshfel Europe, as part of the consortium of the EuroMix project, co-organised the final Stakeholder Workshop of the 4-year project, called ‘The Chemical Cocktail Challenge’. The project is funded by the European programme for Research and Innovation, Horizon 2020, and aims to develop a tiered strategy for risk assessment of mixtures of multiple chemicals. The Workshop consisted of a joint session with another Horizon 2020 project, EDC-MixRisk on 26 March 2019 and a project-specific meeting on 27 March 2019. As both projects are reaching the end of their lifespan, they were able to present the outcomes of the four years of research and to indicate the need for further research in the field. Risk assessment of chemical mixtures is often hampered by a lack of data. The EuroMix consortium developed a test strategy aiming to be cost-effective and to reduce animal testing. The consortium tested a large number of chemicals affecting three adverse outcomes: liver steatosis, skeletal malformation and endocrine disruption. 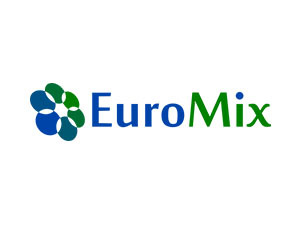 The test data will become available via the web-based EuroMix data and model platform and can be used in risk assessment of chemical mixtures. Over the course of the past three years, Freshfel participated as disseminator in EUFRUIT, a Horizon 2020 Research and Innovation project that aimed to create closer cooperation between the European fruit research institutes and between the institutes and the fruit-growing sector. The project had four themes (new varieties, reduction of pesticides, improvement of quality and sustainable production) and each theme was linked to a team of researchers and industry stakeholders. One of the results of the project is the creation of a database, the Knowledge Platform, where all ongoing and recent research on pip fruit, stone fruit and soft fruit was gathered by the consortium over the course of the last three years. Towards the final months of the project, the group on reduction of pesticides, in which Freshfel was involved as a disseminator, published a paper on the state of play of research in reduction of pesticides in pip fruit, stone fruit and soft fruit within Europe. 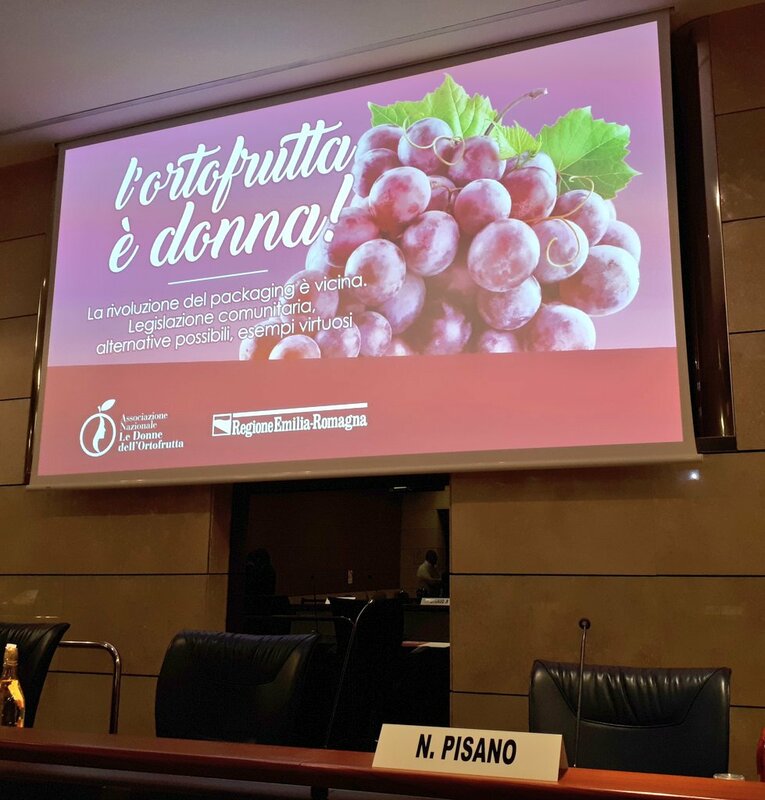 On the 8 March 2019 Freshfel Europe Policy Advisor and Communications Manager Nicola Pisano gave a presentation on the recent developments of European plastics policy at the Associazione Nazionale Le Donne dell’Ortofrutta’s Conference in Bologna, Italy. Ms Pisano discussed the EU Circular Economy Package through to the EU Action Plan for the Circular Economy as well as the most recent EU Strategy for Plastics in the Circular Economy. The policy implications for the fresh produce sector of the Proposal for a Directive on the reduction of the impact of certain plastic products on the environment were also outlined in detail. Particular attention was paid to the inclusion of food containers in the Annex to the Directive under products which will need to be reduced in consumption by 2021. Freshfel Europe attended a workshop on a pilot project ‘Crisis Prevention and Management in EU Agriculture’ funded by the European Commission. The project endeavours to detect how the EU agricultural sector could be affected by any potential crisis by developing strategies related to crises in order to better focus and improve the effectiveness of the CAP policy. A large amount of information was collected by the consultants within a series of six case studies of which some were specifically related to the past crises that have directly affected the fresh produce industry including the E.coli outbreak and its effect on the vegetable industry and the oversupply of peaches and nectarines is Spain and Italy. Freshfel Director of Food Quality Ms Egle Baecke-Eimontaitė participated to the workshop contributing Freshfel’s knowledge and experience on the subject to the pilot project. The Strategic Plans Regulation (Ms Herranz García, EPP): Over the course of 35 technical meetings and 17 Shadows meetings, 123 compromise amendments (from the 5400 amendments tabled in total) covering the vast majority of the amendments have been discussed. The CMO/Amending Regulation (Mr Andrieu, SD): 61 compromise amendments from the 600 amendments tabled by the Committee members have been negotiated during 13 technical meetings and 7 Shadows meetings. The Horizontal Regulation (Ms Müller, ALDE): Over the course of 13 technical meetings and 5 Shadow meetings, 15 compromise amendments covering 234 amendments have been negotiated. An additional 16 compromise amendments are still currently under discussion, covering a further 330 amendments. Agri MEPs will vote on the report on the Single CMO on the evening of 1 April, the eve of the vote on the CAP Strategic Plans. A vote on the Horizontal Regulation is foreseen for 8 April. All three legislative texts on the future CAP will go before plenary under the next parliamentary term, with a number of MEPs calling for transitional measures in the interim. But the European Commission is still confident that the timing is “still on track to have the work completed in 2019”, so its services are not preparing transitional arrangements yet. On 18 March 2019, Freshfel Europe participated in the Expert Group on Apples and Pears. The meeting endeavours to establish a dialogue between the stakeholders from the different Member States amongst each other on the one hand, and between the sector representatives and the European Commission officials on the other hand. This is done via presentations from both the sector, and the Commission, with room to discuss the different topics. During the meeting, WAPA’s Secretary General and Freshfel’s General Delegate Philippe Binard presented the production forecasts of both the northern and southern hemispheres, and Helwig Schwartau from AMI offered an overview of the European market. The situation of the market was discussed in-depth in light of the high crop yield of this season and ongoing effects of the Russian embargo. The meeting ended with a presentation of the market situation via the European Commission’s Dashboard on Apples and an overview on the challenges for exports outside the EU export of apples and pears. Freshsfel Europe is increasingly cooperating to a high degree with international institutions and standard setting bodies to support the sector’s endevour to create a trade facilitating environment for global cross-border fruit and vegetable sales. As such, Freshfel is currenlty involved in three projects governed by ITC, GIZ and the IPPC. Freshfel is a member of the IPPC’s industry advisory board, developing a global electronic hub to transmit phytosanitary certificates digitally. The project aims to integrate less developed countries into the global value chain. Still, half of interceptions on fruit and vegetables into the EU are caused by missing/incomplete certificates. A digital and secure transmission from NPPO to NPPO will help to reduce this number and enable more traders to participate in global trade. Together with the GIZ, Freshfel’s Trade Policy Advisor Nelli Hajdu is supporting the vegetable sector in the CEFTA area (Albania, Serbia, Bosnia, Kosovo, Macedonia, Montenegro) in working towards trade faciliation at border crossing operations as well as in strengthening the aspect of business advocacy in the region. Furthermore, Freshfel is supporting the ITC on their ‘Bhutan Trade Support‘ project. Along with increased exchange on current global challenges and with regard to fruit and vegetable trade and phytosanitary, food safety and/or border crossing matters as well as stronger visibility of the European fruit and vegetable sector beyond the EU, this engagement will help to unify the sectors to strive towards more harmonized rules on global trade. With the UK’s official departure from the EU approaching, Freshfel Europe has continued to keep members up to date with preparedness and contingency planning on both sides of the Channel. In this spirit, Freshfel Secretary General Philippe Binard and Trade Policy Advisor Natalia Santos-Garcia Bernabe attended the FPC Brexit Briefing in Peterborough, UK, where UK government officials outlined their plans to mitigate the impact of a no deal scenario on fruit and vegetable trade. Presentations at the meeting revolved around regulatory issues (food and plant safety, organic legislation, marketing standards, etc.) as well as customs procedures and tariff issues. On the EU side, Freshfel was present in DG TAXUD and DG SANTE meetings in relation to Brexit and has continued raising members’ concerns to the relevant Commission services.